Tuesday-Saturday 11am-6pm and by appointment. 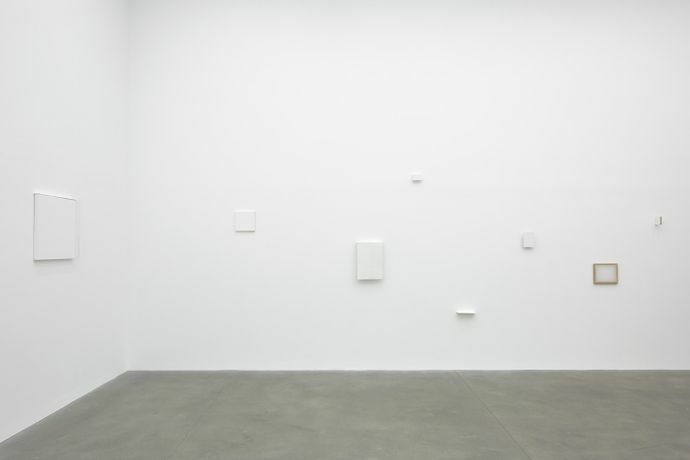 Alison Jacques Gallery is delighted to present an exhibition of new work by the Brazilian artist Fernanda Gomes. This will be the artist's second solo show with the gallery. painting reveals other worlds in our minds since stone age. i play with painting since childhood. the mystery renews itself in the perspectives of the plane, so many possibilities! composition is also what constitutes something, i see a painting as a thing. i use three dimensions, thickness is included. 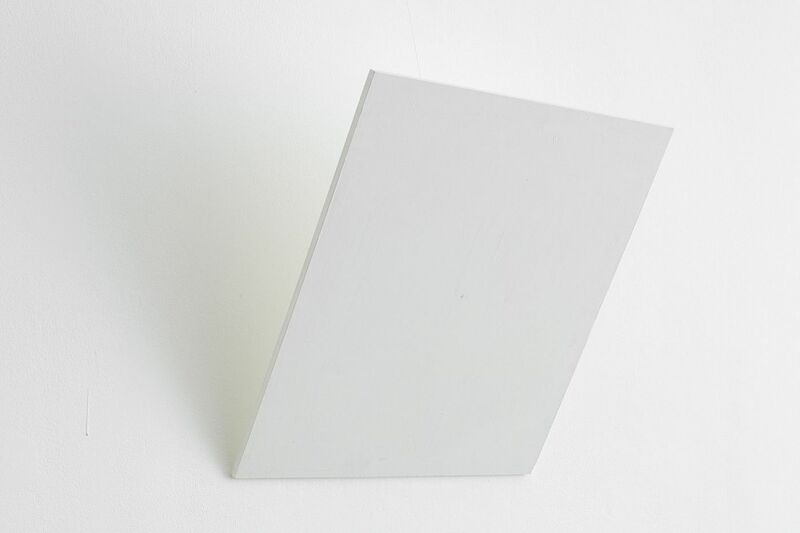 painting is colour, i want colour: white, white, white, many whites! i want the pause, the expanded time of painting. i want this kind of reflective autonomy, which encompasses all around and creates silence. painting demands immersion in its own visual language. words are not necessary. we need to see, to be fully present, sensuously. i want this eloquent silence. i want light, and lightness. 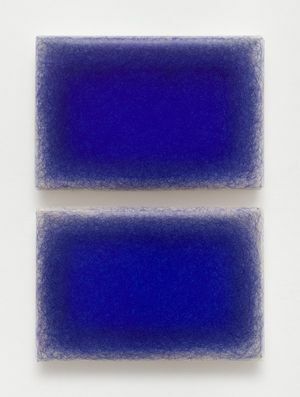 Alison Jacques Gallery is delighted to present an exhibition by renowned Brazilian artist Fernanda Gomes. Showing the most recent pieces of her investigation on painting, she will continue working in the gallery space for three weeks prior to the exhibition opening, using it as an extension of her studio. This will be the artist’s second solo exhibition at the gallery, developing research that has been ongoing for over 30 years. Fernanda Gomes’ work reveals a renewed focus on painting, questioning not only what defines a painting, but also what constitutes a painting exhibition and how we can experience it. The artist will compose and create dialogues between various autonomous pieces made of canvas, wood and paint. 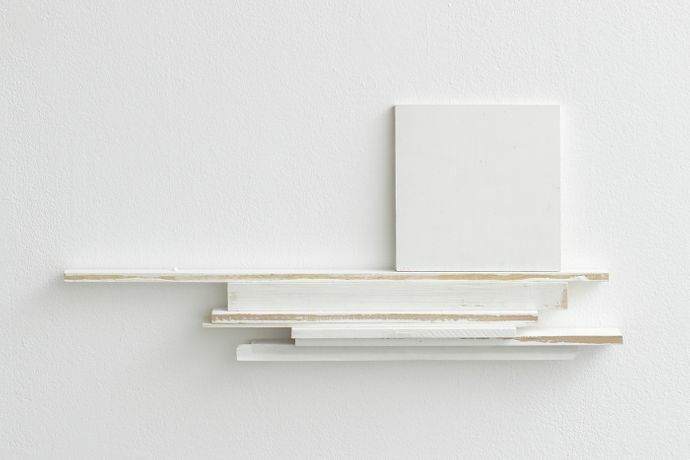 While colour may at first appear to be absent, by the exclusive use of white paint, the work challenges us to observe the subtle spectrum that informs our perception of colour. While recalling the geometry and modulated surfaces in the Brazilian Neo-Concrete movement of the 1960s, her work references the hundred-year-old history of the monochrome and abstraction. Fernanda Gomes was born in 1960 in Rio de Janeiro, where she lives and works. In 2016 her work was included in the Phaidon book Vitamin P3: New Perspectives in Painting and she participated in international exhibitions including: Accrochage, Punta della Dogana, François Pinault Foundation, Venice; Em polvorosa - um panorama das coleções MAM Rio, Museum of Modern Art, Rio de Janeiro; and THIRD MIND. Jiří Kovanda and the (Im)Possibility of a Collaboration, The National Gallery in Prague. Fernanda Gomes is represented in major museum collections including Tate, London; Centre Pompidou, Paris; Art Institute of Chicago; Pérez Art Museum Miami; Vancouver Art Gallery, Canada; Museum of Modern Art, Rio de Janeiro; and São Paulo Museum of Modern Art. Solo museum shows include Centre international d'art et du paysage, Île de Vassivière (2013), Museu de Lisboa, Lisbon (2012), Museum of Modern Art, Rio de Janeiro (2011), and Serralves Museum of Contemporary Art, Portugal (2006). Gomes has participated in several key biennials including Istanbul Biennial (2013/1995), São Paulo Biennial (2012/1994), Venice Biennial (2003), among others.